So sang John Fogerty in one of my favorite Creedence Clearwater Revival songs, Fortunate Son. Of course he was referring to our good ol’ red, white & blue. And while I get a stirring of patriotism stirring in my heart every time I see the stars & stripes, the American flag is not my favorite. Let me say that I would NEVER burn a flag unless it was severely old & weather damaged, I ALWAYS stand for the National Anthem, & I am very proud to be an American. It’s just that other countries flags to me are so beautiful. I get a little jealous during the Olympics or World Cup when I see some the designs these other nations are sporting on their patriotic symbols. Let’s take a look at some of my favorites, shall we? 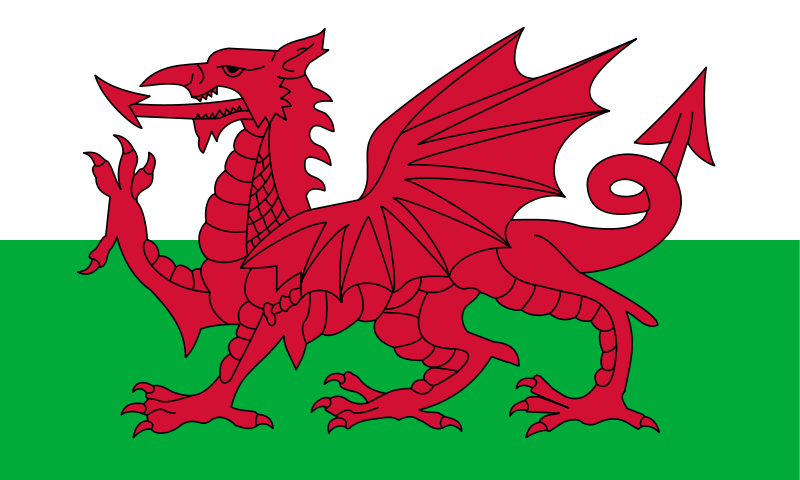 The Welsh flag has always been my favorite. I love that red dragon, or as it’s known in Welsh, Y Ddraig Goch. It’s a powerful image on the bands of green & white. Kazakhstan, besides unwittingly inspiring a great character in Borat, also gives us this beautiful flag. I am deeply enamored of the image of the bird flying in front of the sun, the ornate stripe on the left, & I just adore the colors of this flag. I am thinking of using this color combination in a room someday. I just love it! 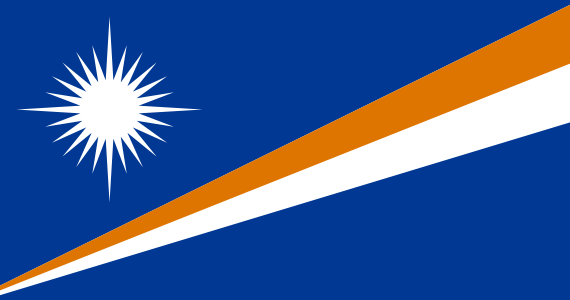 This one, from the Marshall Islands is simple, but striking to me. I am drawn to the widening diagonal stripe heading to the corner & the star on the opposite corner. They chose a great blue for their flag! 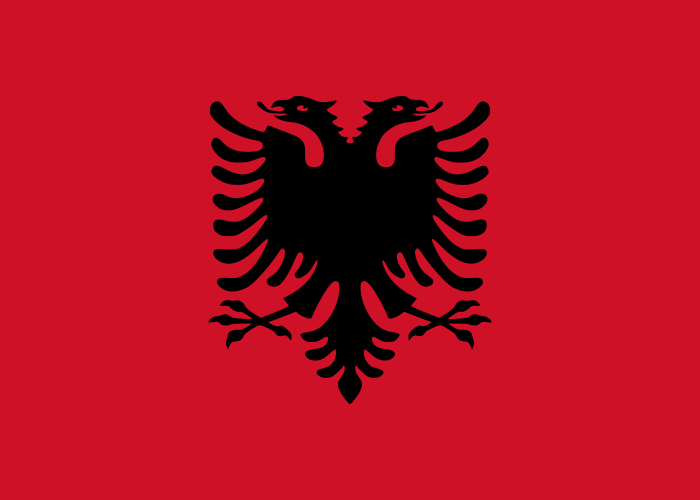 Albania has a simple color combination, but a features a powerful image of a two-headed eagle in the center. My final favorite is Argentina. I don’t really know why, as I am usually not on board the powder blue train. I think it has something to do with the combination of the stripes & that sun in the middle. I have a thing for that sun. At any rate, I find flags inspiring, not only in color & design, but what they represent. I like thinking of someday seeing these flags in person, flying over a building in the home country they represent. Entry filed under: Art + Artist, Blogs & Blogging, Design, Memoriam, Politics, Random, Sports. Very interesting. Beautiful flags! I think you are on a light blue love, as I notice. Hi! i liked what you wrote about Argentina’s flag, cause is a beautiful image and what represents too. I’m from Argentina and i see it every day, but more frecuently these days because it’s celebrating the mundial and the bicentennial as a country. A lot of people died so that our flag can look just the way it does. It’s a griffin, not a dragon.